#FreshFromTheGrill: The Minister of the Department of @ArtsCultureSA ‏@NathiMthethwaSA ‏ met with the Hip Hop Nation. Mr. @Real_VusiLeeuw explains what the event was about. The Hip Hop nation had the opportunity to meet the Minister of Arts and Culture; Minister Nathi Mthethwa and discuss mainly for the Minister and the Hip Hop nation to have a discussion on how the government and the movement can work together, what challenge as the Hip Hop Nation are having in the industry as well as how the government can fund Touring and changing copyright laws. Mr. Vusi Leeuw the event organise sits with us and explans what the whole event was about and what it was ment to achieve. #FreshFromTheGrill: @BigStar_Live dropping music video for Two Cups Ft. @Rouge_Rapper on @TRACE_Inter. Find out more here. Big Star Johnson is not pumping the breaks. He is dropping a new music video for his song Two Cups that he features Rouge. We can't wait to check out the video and we will mos def drop it here on SlaghuisTV. @Rouge_Rapper signs a deal with @LevistraussSA ‏find out more about this deal here. @ChadDaDon - Swimming ft. @Priddy_Ugly listen to the hot joint right here. 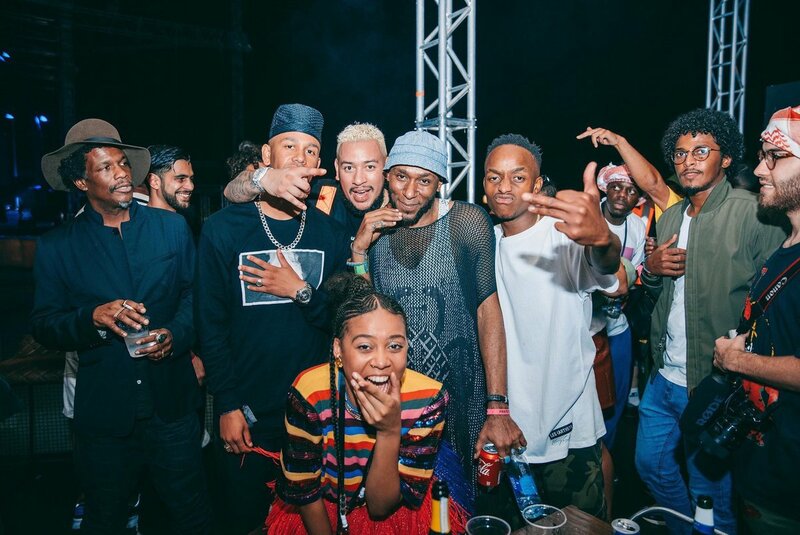 @YoungstaCpt performing in Dubai along side @akaworldwide and @MosDefOfficial . Also dropped the video for YVR (Young Van Riebeek) watch it here. @CassperNyovest go off at Watermelons (@akaworldwide) on Twitter and people are calling Foul.